Amazing Grace Story, Depression, Life Etc. The story I am about to share with you does not come without a lot of thought and prayer. For quite some time I have felt God pressing on my heart to share my story. I have, for the most part, resisted. Oh I’ve shared a snippet here and there, but never really just laid it all out on the table. To be honest, making myself that vulnerable has been far too scary. I was recently challenged by another writer to write not just what I think my readers want to hear, but the things I have been too afraid to write. It frankly scares me to death to know that sharing this story could change the way my friends look at me, or hurt the people that I love. Even so, there is a part of me that knows it must be told. Because for as difficult as it is to tell, it is ultimately a story of redemption and sweet, infallible, Amazing Grace, and if there is just one person who can find hope in the midst of great struggle, then it will be worth it. I do feel the need to warn you that this story I am going to tell has a lot of ugliness. It will be hard to write and perhaps even harder to read. It is also too long to share it all at once, so I will be splitting it into multiple parts. This is only the first part, so it doesn’t end well. Please remember that it was a long time ago, and I am okay now! Thanks for bearing with me. Eleven and a half years ago, I woke up in a panic, unable to breathe, with some unknown object blocking my airway. The only thing that mattered was getting it out as quickly as possible. I soon found out—as the alarms began sounding and my ICU hospital room instantly filled with a half-dozen stunned doctors–that the thing I had just pulled out of my throat was the ventilator keeping me alive. I had just woken up from a coma that doctors had given me less than a 10 percent chance of surviving. 3 days earlier I had lined up 6 full bottles of prescription sleeping pills on my coffee table and downed them like shots, one after the other, washing them down with a bottle of Absolut vodka. Against all odds, I survived. But incredibly enough, that near-death experience was not a turning point for me. In fact I felt nothing but disappointment that I was still alive. I still had such a long way left to fall. My descent into clinical depression started almost a year earlier, in the fall of 1999. Hindsight is 20/20, and looking back it is easy to see the perfect storm that was brewing. I was young—only 21 years old—married to a man I didn’t love, caring for my 14 year old adopted brother, and attending college as a full-time honors student. The stress of those three things alone probably would’ve been enough to make most people crack, but it was little more than a casual conversation that put me over the edge: My dad happened to mention in passing that a man we knew had recently passed away. Perhaps I would’ve remembered anyway, perhaps I was destined for mental breakdown no matter what, but that one seemingly insignificant comment was the thread that began my unraveling. This man who was now dead had been our babysitter. He and his wife would stay with my brother and I while my parents travelled. At the time, my parents owned a travel agency, so they travelled quite a bit. This man was a monster who sexually abused me for 4 years, starting when I was 6 years old. It finally ended when my 4th grade teacher noticed something was wrong—though I honestly don’t think he suspected to what extent—and recommended to my parents that they stop travelling for a while. I never told anyone. He warned me over and over not to tell, that if I did he would hurt my family and burn my house down. So I never told. Instead, like many victims, I found a way to block it out completely. At least for a while. As soon as I learned he was dead the memories started flooding back, in bits and pieces at first, then in vivid nightmares and flashbacks that terrified me during the day and kept me up at night. I didn’t know what to do with it all, couldn’t fathom talking about it, and spent a lot of time doubting the memories were even real. I thought I might be going crazy. I stopped eating and barely slept, started staying out all night so that I wouldn’t have to face the demons inside. Within just a few months I lost almost 30 pounds, developed permanent dark circles under my eyes, dressed in all black, and watched my grades slip from straight A’s to failing. I couldn’t bring myself to care. I ignored my textbooks and instead began reading nothing but existential philosophy—Dostoevsky, Nietzsche, Kierkegaard, Sartre, just to name a few–and determined that God was nothing more than a figment of my imagination. A God that was real wouldn’t have let those things happen to me. I was too angry to even know I was angry so I reacted by rejecting my faith completely. In the absence of God, however, life lost all meaning. So I began planning to die. It seems almost ridiculous now, but my then-husband was oblivious to it all. We were leading separate lives and barely speaking. He had no idea anything was wrong. My college advisor was more astute. She encouraged me to see a counselor to talk about the depression she could see was eating me alive. I refused. She knew I was on the edge and attempted to intervene, but there was nothing she could do. On March 9th, 2000 I tried to kill myself for the first time. I was involuntarily committed to Forest View Psychiatric Hospital in Grand Rapids. After a month of refusing to talk to anyone about anything, I finally told my psychiatrist about the abuse. By then she had already guessed. Sexual abuse is sinister for so many reasons, but most of all for the deep sense of shame it creates in its victims. We blame ourselves. We are shamed or bullied or threatened into silence until we can’t tell for fear WE are the ones who are bad. Then we don’t tell for so long that when we finally do, no one believes us. I can tell you from personal experience that the worst thing you can ever say to someone who tells you they’ve been abused is “I don’t believe you.” That deep sense of shame is compounded and becomes so overwhelming you will literally do anything to make it go away. Even so, I don’t blame those closest to me for not wanting to believe it was true. Even now I don’t want to believe it was true. I spent several months at Forest View and then they let me out. I wasn’t better but insurance—even good insurance—only lasts so long. I separated from my husband, got an apartment of my own, and attended “classes” at the hospital during the day. I had gone from full-time college student to full time crazy person, and I was failing that too. I hadn’t been on my own more than a few weeks when I lined up those pill bottles. My first suicide attempt had been full of rookie mistakes; this time I was playing for keeps. My therapist was the one who saved my life that night. He called to check in and when I didn’t answer, he immediately called 911. They made it just in the nick of time. The fire department broke down my door and found me barely breathing. My heart stopped in the ambulance, and though they managed to revive me, my family was told to say good-bye, that even if I did survive, which was unlikely, I would most likely be permanently brain damaged. But I didn’t die and I wasn’t brain damaged. I had just experienced nothing short of a miracle and I was too depressed to see it. Instead I got worse. I began to self-harm, cutting my arms, burning my legs, and experimenting with any kind of risky behavior I could find. Physical pain took my mind off the despair, but the relief was only temporary. I spent another year in and out hospitals as the doctors tried one anti-depressant after another. Nothing worked. I spent 6 months at McLean Hospital in Boston in in their highly acclaimed Women’s Treatment Program. I was not a model patient. I continued to self-harm, which was against the rules, and ultimately they kicked me out of the program. Finally, desperate and out of ideas, my doctors recommended electroshock therapy and for almost 3 months I was anesthetized three times a week so they could attach electrodes to my head and zap my brain. Thankfully I don’t remember much of that. Almost two years to the day after my first suicide attempt, they finally gave up and sent me home. Of course by then I didn’t have a home anymore. I was divorced, bankrupt, and completely alone. If you are suffering from depression or PTSD, please know that you are not alone. It is so hard to see the light when you are in the midst of the darkness, but it doesn’t mean the light isn’t there. If you are experiencing thoughts of suicide or self-harm, there is help available. Please talk to someone as soon as possible–a counselor, pastor, doctor, or friend, or call the Suicide Prevention Hotline at 1-800-273-TALK (8255). Thanks for sharing your difficult moments, I know you will inspire and help others! 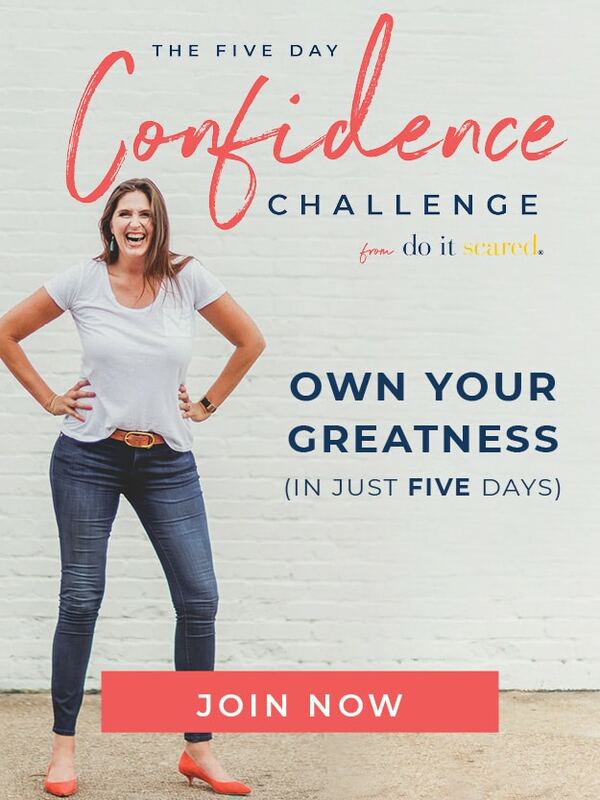 I am in awe of your courage for sharing! Thank you Samantha, that means a lot. Thank you for sharing your story Ruth. You don’t realize how many people you will help with sharing this. So many people are hurting and scared and often times don’t know what to do. Praise God he brought you out of this situation and that you are sharing this so that others can be healed as well. Thank you so much Michele. My only hope and prayer is that it does help at least one person. Thank you for sharing your story. You are beautiful person that shines with life. 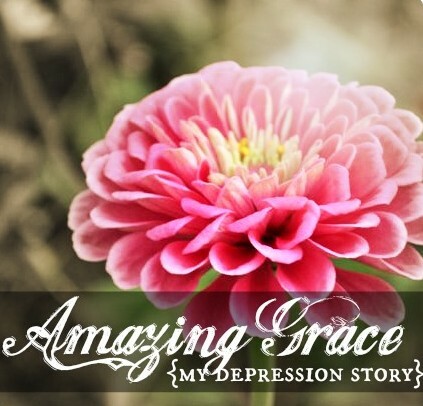 Your story of amazing grace will reach so many, giving them the hope of surviving depression. Thank you for beginning to share your story. I find you to be very inspiring, brave and courageous and I think your story will not only help so many but it will definitely change lives! Ruth, I am a therapist in a women’s community corrections program. These women have horrid stories of abuse, subsequent trauma, and deep emtional wounds. Most are active drug addicts who have lost rights to their children and have criminal histories longer than a roll of toilet paper. After reading your story, I plan to print it each week and have them read. I believe it could be the inspiration they need to get their lives back on track as you so bravely did. Thank you so much for being courageous and selfless. You will help many I am sure! Brenna, thank you so much for sharing this with me. If there is anyone that can be helped by hearing my story, then it was worth sharing. Your story is soooo much like mine. I still can’t tell anyone about it. No one that i am friends with here in FL at least. I fear that they will look at me like I am not the person they know. I am still the person they know, my past does not change who I am NOW. It is what made me how I am now. I so wish we could get together and talk. We live only a couple towns away. I just fear talking about stuff because it brings back the sadness I think I left behind. I am a born-again-Christian and Jesus saved me from so much and put joy into my life. A joy I never thought possible before. I took took bottles and bottles of pills. once in Bible college and 2 times before that. I was admitted to a hospital in CT and was there for awhile. The doctors say they have no idea how I survived the attempts. I know, but they wonder. When I had my first child I got PPD real bad BUT, having children is what stopped me from ever attempting suicide again. I had my 2nd child soon after and I loved them so much. i will do anything to protect them from monsters like my mother’s 3rd husband. I think it makes me paranoid and over protective but I don’t care. My mother didn’t anything about what happened to me and my sister and I will NOT allow that to happen to my kids. I will never try to kill myself again because if I leave them, I won’t be here to protect them from the monsters. I know God is here but I also know HE doesn’t want me to take my own life. he gave me these kids to care for and I woudl be not doing my job if I left them voluntarily. anyway, I feel your pain. I admire your courage to speak out. I am sorry this happened to you. We can try and try to put this stuff behind us but sometimes the memories creep back anyway. I have those days and I hate them. I am a stay-at-home mom and have a 2 yr old as well as an 11 and 12 yr old. I am home all day alone and it gets to me sometimes. I love church because I get to get out and see people. (as well as the great preaching!! 🙂 ) I do have friends but they don’t understand what i went through so I won’t share. I just try to put on a smile. I can private message you my phone number if you want it. it’s a 941 number. I’m so sorry to hear your experience was so similar to mine. I can honestly say, though, after sharing my story this week and experiencing the amazing love and support of my friends–even the ones who were completely shocked–that you might be surprised. I definitely know how hard it can be to share. Thanks so much for sharing with me. Thank you so much for sharing your story. It is always so encouraging to hear from women who have been through so much, yet find the strength and courage to find a path to happiness and comfort. I applaud you Ruth. For your triumph, faith, and willingness to share despite yourself. When you share yourself, I feel the WANT to share my own story. Although it is not entirely my own, it has effected me every day of my life. My mother has a story similar to yours, and I know without a doubt she would be proud of me for sharing that with you and your readers. MY envolvement in her story is who I AM because of her. She overcame the pain and the struggle and I was made to NEVER want for anything my entire childhood. Your girls are SO very blessed to have you for their mother. I can say that because if you are even an ounce similar to my mother, I KNOW they are so very fortunate. They will know this when they are old enough to understand this story, and I pray that YOU know this too. Have you ever seen the movie Spanglish? The last line in that movie sums my life to this day. “My identity rests firmly, and happily on one thing. I am my Mother’s daughter.” My mom taught me an amazing lesson; live for your children. They are the ones that matter the most. She lived for my sister and I. What more could I have asked of my childhood. Much love to you and your family Ruth. God has blessed us both with families to love unconditionally. Cassandra, this comment made me smile. Thank you so much for sharing this story! God Bless You Girl!!! I am in awe and thankful to call you friend! Angie, I too am so thankful for our friendship. Your prayers and support have meant the world to me & when I see Jesus shining through you I am reminded that God definitely has a plan. This must be so hard for you to share, I can’t even imagine…although I can just a bit because I have stories and thoughts that I would like to post but am too afraid for my family and close friends to read. Thank you for doing this. I am sure you will inspire and encourage many people to share the stories or find help if needed. Amazing grace and amazing courage from an amazing woman! God Bless you and your family! Thanks so much for sharing. You are truley Gods Princess. One of my favorite verses is 2nd Corinthians 5:17 and Psalm 103 please read and be encouraged. Blessing to you. I’m so proud of you, for sharing your story, for being brave and courageous, for leading others to healing by your very own pain. I’m so thankful for you friend. You are beautiful and so generous. Your willingness to go those broken places make it okay for us to do the same. I look at you and I see Christ. What a beautiful person you are and I can’t wait until a great cloud of witnesses can hold you in their arms with joy and say “well done”. Thank you for sharing, from someone who’s been in the valley (and still struggles at times). You are so courageous to share your story and also to let Christ in to transform your life and bring beauty from ashes. You have no idea the lives you will impact and the hope you will give by being willing to share. May the Lord bless and keep you. In South Texas there is an expression in Spanish which is ‘muy brava’. Very brave. Stories of grace begin exactly as yours did. It is all in God’s perfect timing. His best servants – the servants who help us- as in you- all have hard stories to tell. I wrote you an email about another matter before I read this post. Please forgive the shallowness of its content. Laura, I didn’t receive an email from you. Do you know what email address you sent it to? Would you mind re-sending? My email address is ruth@livingwellspendingless.com. Ruth. 1st of all thank you for sharing your incredible story. I always look forward to all your blog and hot coupon tips. It’s the highlight of my day. I am so sorry you had to go through all that. But look despite all that I am so inspired about how much you have accomplished since then. I am so glad you pulled through. Thank you Rachel. I’m so honored that my little blog is the highlight of your day–that’s so nice! 🙂 Reading that was the highlight of MY day! It is wonderful to be able to look back and see where the Lord has brought us from through His grace and mercy. I ask the Lord that He reminds me to pray for you this week as you tell your story. How brave you are. May God bring light out of darkness for those who might need it through your story. Blessings on you for sharing! Ruth, I’ve been reading your blogs over the past six months and I can tell you, you are an amazing, dynamic, and courageous woman. I hope you remember that anytime you are feeling down. THank you for sharing your story, you are very brave like everybody has said. I am sure it will change a lot of lives, will inspires all of us…May God continue to bless you and all of your family! I cried twice today. Once while reading the updates from Samaritan’s Purse ‘Operation Christmas Child’ and now as I read your story. Ruth I have been following you for sometime. I understand about depression. I go through it from time to time myself. It is when things seem outside of my control. Right now my house is a complete mess, I am four weeks behind on cutting coupons and I feel like I am not the best mom right now either. However, I do know I have a wonderful husband and two great biological children and I know I will continue to get things in order and things will get better. I know now that I may get REALLY down, but things will get better. In my youth, I thought that was the end and it would never get better. Now I know to stick it out for a bit and all will turn out good. It is just a slump. I do have many more good days than bad days. So that keeps me going. Thanks for being so brutally honest with us readers, who are here for you whenever you need it. You know Ruth after my own story of amazing grace and reading and hearing so many testimonies (yours and others) no one will ever be able to convince me that there is no God. He is here, He is with us and He has truly has amazing grace and redeeming power! Thank you so much for sharing! This will be used to reach others! God bless you and your family. You are in my prayers. Thank you for sharing this story. I do know where you are coming from as I was sexually abused by a family member at the age of 5 and sexually abused regularly by any male who seemed to come my way; cousins, sons of baby sitters, ect. The abuse finally ended when I was 13. However when I was 16 I was raped by a boyfriend when I was on strong meds which made me sleep alot for an illness. A lot of bad things have happened in my life beyond the abuse and I honestly feel I could fill a book. When I was 23 and had been married for 2 years and had 3 children I went into a deep panic and anxiety filled depression. I became a hermit for 6 years. I did not leave my house! One year of those 6 was spent in my bedroom in my bed. I only got up to feed my children and to do bathroom things. My husband and kids had to live with a monster! I was mean, cruel, physically and verbally abusive. I wanted to die. Luckily, in 2008 I began to snap out of it and take my life back. I began going out of my home. I began going out of my town, I began going out of my state. I am calm, I am happy, I am now a good mom to my 4 children and a good wife to my husband of 12 years. Your story is going to be a ray of sunshine to many people, Ruth. I know you will help many find their way back! I started reading this post on my phone at Sam’s Club the other day. My girl’s asked what was wrong, so I didn’t finish it then, and read the whole thing later. But the whole time I was shopping, I kept thinking about your story and the actual woman I met last week. By the time, I got in the car, all I thought was “Thank you, LORD!” I already know how this story ends! You are an amazing woman!! Thanks for sharing with us. Ruth, you amaze and inspire every one of us with your testimony. You definitely have a powerful testimony and I’m so glad God has used you to share it with others. God bless you! I am a new follower of yours and I was led here for your “spending less and living well” (well, I got it backwards) and I want to thank you for sharing who you are with your readers. I know this is a tough thing to do – expose your deepest secrets and nightmares with total strangers but God has led you to do this now (even if He has been prompting you for a long time – it is still NOW) for a very good reason. You will not only be blessed but there are others (friends, family, followers, etc.) who really NEED to read your story. I will be praying for you and your family and God bless you. Steph, thank you so much for taking the time to comment. I definitely love using coupons, but ultimately the “spending less” part is just a small piece of my puzzle. I’m so happy to have you here. Wow Ruth, you are one strong woman. Thank you for posting, you should be proud to be you:) God Bless you and your family, forever. I’m so glad that you decided to share your testimony. God prompted me to share my story about depression and I can relate to your not wanting to tell this story. This is so encouraging because today my posts went live about a part of my testimony that I even prayed my mother had forgotten about and I was tempted several times to delete it. I’m just so thankful for God’s grace and exceptionally glad that more Christians are telling about their plight with depression. It’s not an easy thing for others to understand so I do feel you and I’m very encouraged. Thank you. I was lead to this posting via a friends post of your post on taking away your kids toys, which I loved. I have not been blessed with any children as of yet… however, I have plenty of family and friends who do and I will be sharing that post with them. I wanted to thank you for sharing your story. We all have one. We all have demons. But it’s folks like you with the courage to share that help so many more than you may ever know. I don’t know if you’ve ever heard of Jenny Lawson and her blog, The Bloggess? She’s helping bring voice to depression and self harm, just like you. The more light shed on the subject the harder it is for folks to live in the dark. Thank you. I know my readers would appreciate your work. If you’re even remotely interested, feel free to shoot me an e mail. This is a really amazing testimony from the heart. Thank you for being vulnerable and sharing – thank you. computer software and electronics. This is often a serious consideration, especially in families with history of diseases that require long-term care. I’m now not sure where you are getting your info, however good topic. I needs to spend some time studying more or understanding more. Thank you for fantastic information I used to be searching for this information for my mission. I feel you are telling my story. Exactly my story. I am still in that dark hole. Can’t manage to see any light. It’s so long, I feel all alone even surrounded by family and friends. I don’t trust anyone. And yes, I do have a therapist. Thanks for sharing. Its like knowing someone out there understands what the world don’t. I believe you. When my PTSD flared, last year, I remember sitting there for hours, staring emptily at the backyard. I wondered for hours if I should check into a mental hospital or if the entire slew of memories that left me so hurt was even real. I had to have imagined it. No one could be that cruel to a little girl. Surely, as I grew older and was abused by more men, I had made some choice to make it happen…? Even more frighteningly, how could I have nigh forgotten for years? And why were the memories still so cloudy? But I remember the steps I took slowly healing and walking away, and I remembered silently facing the fear, still keeping it a secret, even from my loving husband. I believe you, because I know how hard it is to face the truth. Thank you for sharing this difficult story. I went through some abuse as a child, but nothing to the extent that you did. It damaged me for years & caused me to make many bad choices. It was only because of God’s grace & love in a women’s conference that I was set free of the pain. After that, it was a continual growth process to discover who I was (and am) in Christ. I believe God is using your story to give many women hope. God bless you! I am currently going thru a very difficult situation and have gone thru treatment this past year for PTSD. I feel as others do such gratitude to you for sharing your story. There is light at the end of these dark tunnels. I feel like I’m reading an autobiography in some ways. You are incredibly brave and are truly a vessel of God’s Grace shining down. Be very proud of what you’ve created and what you’ve done with your life. I know you haven’t done it alone, and I know that you know that too- that God chose you to be a blessing to others. Keep it up!! Thank you so much for writing this! I Know that pain not as severe of a depression as yours but none the less the pain. Could have written this myself babysitters husband had done the same to me and my sisters although his wife and our parents knew which seems to be harder but have gotten through it just watch my daughter like a hawk. thank you for sharing. There are many, many of us who need to be reminded we are not alone, and we WILL get through this. By now you must realize how unalone you really are. There are so many of your sisters out here in the world who have experienced the shame, guilt, torment and depression of childhood sexual abuse, reaching far into our adulthoods, yet who have been showered by His amazing Grace and able to look up, and see light through the darkness. I was 8 or 9, possibly 10. I don’t remember, specifically. But I do know that upon hearing of my brother’s death, I felt like he had been given a ‘free pass’–death instead of confrontation for what he had done–the downward spiral began. I didn’t tell, really tell—and heal—for fourty years. But the beautiful thing is that today, I am healed. Healed of the guilt, the shame, the torment, the secret, the PTSD. Healed by the grace of a God who adores me. And oddly enough, that ‘little thing’ of me getting molested as a child was the final piece in a bigger puzzle, and became the catalyst for my husband of 21 years, upon finally understanding why I was me, accepting Christ. Your story? It’s not a little thing. It’s a piece of the puzzle that makes you YOU. And someone out here will read it, and it will stike them as familiar…and they will find comfort in that. And, perhaps, who know? Even find the meaning of Grace. I was just happy to read your ideas. But sharing your story blesses me. I still feel so close to the edge sometimes. I’m trying and I’m grateful. A person must have love and they must have support. I am sitting here in work and in tears. I stumbled across your blog today looking for tips to declutter my life and then saw your story. I feel in someway a higher power brought me here and I wanted to thank you. I have been struggling silently with depression and seriously contemplated ending my own life or atleast taking self harm further then simply some cutes, and this is just a beacon of hope. Thank you. Mel, I’m so glad you found my blog. I’ll be praying….hope IS possible. Just wanted to say thanks for your story and I am glad that you are okay and that you have a brave spirit to reveal the information to everyone. God will Bless you for your words of encouragement. Ruth: What a powerful story of God’s amazing grace and love for us all! No matter what we’ve done or how far away from God we try to stay – HIS amazing love is always there…..waiting for us. Thank you for sharing your story of love. I, too, embrace you for your courage in writing about these painful events and I am so happy to hear how far you have come from those stormy days. I, too, was sexually abused as a child. My offender was my brother. I’ve posted two stories on my blog about parts of my journey. I felt I hit rock bottom when suicide actually started to make sense, but I didn’t actually go through with it – in my mind I didn’t have the courage to. I’m still struggling through PTSD therapy with a very good therapist – and yes, he says I suffer from excessive shame. It seems my body wants to give out at the same time as dealing with this (and other stressors). I’m doctoring now to try to find out why it’s doing the things it’s doing (heart, hearing, off balance, shortness of breathe, muscle weakness, blah, blah, blah). Anyway, I wanted to tell you how much I appreciate your strength and honesty. If you’d like to read my stories, just visit my website, look in the category ‘Challenges’ and find “One Cha-Cha Step at a Time” and then “I Thank God for You”. I may add more as time passes, we’ll see. I try to keep my blog light with funny stories, but I do get serious when I feel God’s calling me to write it. Thank you – you truly are a gift from God. Ruth, this morning before starting work, i was flipping though pintrest when i found one of the pins you posted about children, and link after link, got to your story, COULDNT STOP, i read all 4 parts in tears and in hope of God’s work. I really thank you for answering God’s call to post your story, and i Thank God of his work in your life and ask him to use all the pain you went through to redeem others. Can i ask you, as you have 2 daughters, how do you protect them, or make them aware of sexual abuse. i come from a society that doesnt talk about this and will never admit it. Thank you so much for your kind and encouraging words. My husband and I are very vigilant about who our girls come in contact with. We also talk with them in an age appropriate way regarding their bodies and what is acceptable and what is not (good touching/bad touching etc.) We have tried to create an open line of communication that encourages honesty and assured them that they can always come to us not matter what the topic. I hope this helps. I, too, found this post after reading about the kid’s toys after reading about living simply like our grand parents. I am awestruck that I would come upon your story and read the death of the abuser is what triggered the memories. Thank you for being courageous enough to write this post. When I remembered after the death of the man who violated me – and confronted my mother – I lost my entire extended family and my mother for the umpteenth time. Im sorry for you pain, so sorry, but so helped to have a sister who believes me. Wondering if I can share this on my web show? Also in my meetings with women whom have similar stories to bring comfort and healing??? Wow, Ruth…wow. That one person could experience so much pain and share everything that I’ve seen you share over the past few years. God really is our redeemer! I thank you for sharing your story it truly touched my heart. I too was abused as a young child and so was my older sister by our neighbor and praise GOD that he guided us thru the pain, shame and humiliation. The doctors did what they could do and so did the counselors but it was the power of GOD and the strength of our parents that raised us up and helped us. Are you still married to your husband? I can relate to your story in a way and I have found someone who is 20 years older than me as well. I am appreciating this because I’ve gone through depression very much and feel my past has been a huge part of it and the chronic health part of it. Thank you so much for sharing and your courage to do that. You’ve inspired me (and I’m sure others) to get back to writing my book. I too suffer from major depression but also alcoholism. Lovely combo, don’t ya think? In my book I’d like to tell people how I over came my alcoholism, with out AA (because that didn’t work for me) and how I manage my depression. I was nervous too, about putting that out there, hurt family members and such. But you gave me a little boost I need and I thank you! Have a wonderful and safe weekend! @God for the cruelties He allows. I mean He could stop it you know. Why doesnT He??? I am a very old woman and have been where you are God is love? For who,the victim or the monster???? Hi Ruth. After weeks of watching your beautifully crafted videos as a student of Elite Blog Academy, I was dumbfounded to read this post. I was clicking through your blog and marveling, as usual, at its impeccable design and ultra-useful content, when I came upon Amazing Grace. I would never have suspected that you’d overcome so much pain–because you radiate positivity. Thanks for being so generous with your readers and students. You have given me motivation, inspiration and know-how! Wow what a story your has been,and did your husband turn his life to God? I am new to your site ,great ideas. Thrilled by your story. Have only read the first part but am very thankful for you! God has obviously turned your life around to inspire others! You are very talented in your writing skills and communication. Your creativity is amazing. I look forward to your emails every day! Thank you for sharing your story. It is truly inspirational. I just found your website and LOVE it! I also am amazed at your courage in sharing this very important story. And I know you have given many people “the comfort wherewith you yourself were comforted” as God says in II Corinthians. I struggled with clinical depression for most of my life (I’m now 63) until God finally got to the root through attachment therapy. May God continue to richly bless you and all your loved ones! You go girl! Your story is bringing tears to my eyes. I have been abused verbally and emotionally. I am in the middle of going thru a divorce. Today, I was blaming myself for not being the pretty perfect wife, organized at all times, house spotless, makeup on on my off days. Forget the fact that I worked hard, have a grad degree, am in medicine. None of that counts when I think that I was perfect enough for him so he cheated on me the entire length of our marriage. Thank you for having the courage to bare your soul and in the process, helping countless others. Many blessings to you! Thank you. I would like to read part 2. You’re not meant to die yet because God has a better purpose in your life. Wow…..You are one AMAZING woman Ruth!!!! You inspire me so much! I actually came across you and your website by accident and I am so glad I did. I suffer from bipolar/depression….and I have such a hard time most days. 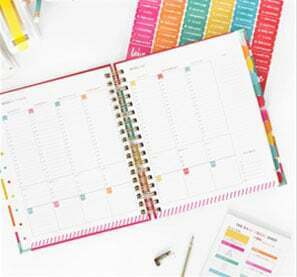 That’s why I ordered your planner….to not only organize my house but to organize my LIFE. So I am very thankful for YOU!!! Keep doing what your doing…..blogging, telling your story, being a mother, wife, author….etc. Just so you can inspire so many others, like you do for me. I will keep following you, visiting your sites and purchasing your books because from day one when I came across you…there was just something that clicked for me with you. It made me want to get my old life back of wanting to leave my house, doing stuff with my family, getting my house in order, but most of all doing things for me and LOVING myself again. Thank you so much for what you do!!!! I’m crying over here! This is my story minus the suicide attempts. I have never been suicidal but it is a definite struggle everyday to deal with the demons. I just don’t know how to shake this depression! Thank you for sharing your story. I’m now on to Part 2! Oh my word Ruth, I about have tears coming down my face. First of all this is so incredibly brave of you to share! Thank you! Knowing that people like me, a classmate during your time of abuse, were clueless. My mind is spinning trying to think back during those years….Could I have noticed? What grades were we in the same class? Did I know that man? I had been to your house more than a handful of times. I can’t help but think and wonder who could have seen the signs, before 4th grade. I’m so sorry you were going through that! Second, I’m thankful for the Christian School, families and environment you were living in. Why? Because even though you were hiding all this, (and very good at it) you were still surrounded by faith and love. It gave you the foundation to get through what later in life, seemed like a living hell. You found God again and he held you in his hands for so long. Never letting go. Third, I’m so glad for the person who called 911 and that you are alive! It’s not easy going through such dark times and feeling alone, shame, hurt, to name only a few! But, that after all those terrible, sad years you made it out! And in FULL COLORS! What a story you have to share! I’m sure you had many years of struggles and it took lots of time but wow, how amazing! God had a plan for your life. Who knew back then, you would be all over the world in social media, etc getting to be a positive light! A SUCCESS story on so many levels!! Thanks again for sharing! I run our Jr High Youth Group and am going to share bits and pieces…..Why is it so important that we build our Christian foundation? God sticks with us! – Hugs! Ruth – you are strong for speaking out and we are all stronger for being given the opportunity to experience the healing that you have had. So many suffer but the stories of bravery are what get us out of the pit and back into the life we should be living. I wish you all the best things – thanks again! Dear Ruth, I am not sure that I know exactly where to start. I will try to keep this short and sweet but i really have so much I want to say. I am reading your story and my eyes are welling up with tears. I have been reading How To Blog For a profit for a few days now and I am almost done. I have to tell you first off, this is the first book I have successfully (almost) read through in YEARS. I am 23 years old and a mom of 2 beautiful babies (girl;4 1/2 boy:9 months)I have been searching for quite sometime for something I could really put my heart into and always felt that blogging was for me. With much prayer and consideration my fiance and I got me a computer 2 weeks ago as an early Christmas present so i could start my journey. I stumbled across your blog and ordered your e book and the blog planner and a few other things and immediately began reading the book. I have felt so inspired. I live in Louisiana and we had a pretty horrible flood where i live a few months back and we all lost a lot. I am just now winning a battle over a 7 year depression that i went to a hospital for while i was 13 weeks pregnant with my son and also recently diagnosed with Fibromyalgia and it has really changed my life. it has been extremely hard to continue to fight the depression being so limited in my own physical body. Suicidal ideation is a demon that I wouldnt wish on anyone. But thankfully God has steered me in the right direction and I am here today so grateful and happy and it feels great I am so glad I pushed myself through. I have made the mental agreement with myself that I WILL overcome all of these sicknesses and be the BEST me i can be. For myself, and for my family. I have been searching and searching for something I could do with my physical and mental health in mind. That being said, I am a creative, I love to write, great with business, and i crave to learn more knowledge on marketing and small business as a whole. I have been working so hard every chance I get on my computer learning whatever I can (reading your book!) There is so so much I have to learn. I want to do this right. I was actually coming to your blog to see some of your first post and just tonight I had sort of a melt down.. then I came across this post. I was speechless. I have been reading this book you wrote for days having no clue you literally know exactly how I feel. Thank you so much for sharing you have truly touched my heart! I dont have a domain name yet to put my website down but I am having it set up on Monday. your truly amazing! I applaude you for sharing this on social media..the idea of talking to anyone is beyond thought to most of us let alone to thousands! However, I am glad you did.your story will help so many in a similar position to know they arent alone! I went through most of this myself at the same age and younger. So did my sibling..its been a battle fr most of my life in one way or another and still continues t be even though I have gotten though it and move don..it still comes up one way or another and probably always will, whether its a dream , recalling something I blacked out, a death, or someone contacting me on fbook to talk to me ..yes this has happened twice in the last year and my mother whom ive not talked to in ears recently almost put me over the edge again after all these years whe she contacted me on my birthday just to tell me that my own father had messed with me during my childhood..back in a depression for a week! We are survivors and we are strong because of what we have gone through! Sharing this story shows how strong you are! Thank you! Thank you! If only MORE friends would share the truths of their lives with each other. If we would all be just a bit, or a lot, more transparent, maybe the worst of the pain could be squelched! I’m so grateful for your sharing. Although I haven’t experienced the same abuse, I have experienced other types of abuse and pain through out much of my life resulting in a complete breakdown in 1996. I too have felt the need to share my story. Your courage inspires me. One note: I have survived the pain, and since I met the Lord, my life has been filled with love from my husband, children, and friends. Thank you again. I just found your blog. So inspiring to hear your story. I read your story in 2015 and it is a brave thing to do to tell all of your truth publicly. For one thing, it demonstrates that “IT” doesn’t have a chokehold on your life and that’s an important thing. Shame is so often another reason, stories aren’t told publicly too. I wanted to leave a note to thank you for taking the big step to make this part of your history public. It was bookmarked and I returned to it today – I KNOW it’s another sign that it’s time for me to tell mine… I have definitely been dragging my feet. Perhaps since I don’t feel that ALL the kinks have been worked out and that to go public is in some way declaring that I’m free from all of it. I still have secrets… I do know there’s a bigger plan for my life and I have fought a long time playing small, but time doesn’t last forever and at some point you have to just jump in, right? Thank you for sharing your intimate story Ruth. I struggle with depression. Therapy doesn’t help. I need to lean on God more. And increase my Faith. You have probably helped many of us by sharing your story. Thank you…. Thank you so much for sharing. Your story brought tears to my eyes. Tears for the young woman living in that dark, dark place. Tears for that young girl, who had her innocence stolen by a monster and tears that your parents were not aware and that you did not feel comfortable telling them or anyone. I would have never believed this about you so it did some as a shock. Thank you for sharing and thank you for being such an inspiration! Thank you Ruth for sharing your story! Ruth, you are an amazing person and an outstanding writer! I couldn’t take my eyes off your story and know that you are helping others by sharing it. Oh Ruth you are one brave soul deeply, deeply love by God. And I’m so deeply moved & touched by your story I just want to hug you in spirit. God never for a second gave up on you. So amazing where you are now in your place of healing and restoration. In my reply to one of your email queries re not attending EBA I made mention about your ministry of enhancing quality of life. Imagine that! What a vindication from God. You are made for a purpose- God’s purpose- and I thank Him that the enemy’s purposes for you did not prevail and will never be! Otherwise I would not have heard your voice and seen your life testifying to the fact of God’s great redemptive power, among other things. What a tremendously inspiring redemption story you have Ruth. You have touched and moved my life today inspiring me to keep the faith, stay in the race and win the warfare all because of Him. Thank you Ruth. Beautiful one. I’m glad you shared this because now I can relate to you. I haven’t’ spoken to my mother in about 21 years ago because she never could accept that her boyfriend molested me, and instead of sending him away, she sent me away. I can forgive her, but because of her own abuse toward me growing up, I can’t have a relationship with her. But the good news of what happened is I became a Christian after I ran away from home. Thank you for sharing your story. It was not only an inspiration to read your story, but it gave me hope in dealing with my own darkness and seeing the light in recovery. Just reading your story made me realize….I am not alone. I too suffer from Depression when stress hits me. But I somehow manage to pick myself up when I turn to God and other people stories. I too experience denial trying my best to stay strong but it’s sometimes inevitable. Thank you so much for your story…it not only may have saved someone’s life but lift up their spirits from the darkness…giving hope that someday…A brighter light will shine ahead. Thank you for sharing this, Ruth. My husband’s mother is due to have her first round of electroshock treatments next week. We are praying it can help turn things around for her. Ruth – I’m glued to the story and can’t wait to move on to Part 2. Is there anything better than the story of redemption in a life that looked completely lost? Thank you so, so, so much for sharing yours. As I sat last week with an older someone I love very much, I could see the “fruits” of untreated depression. Thought patterns, feelings of shame, insecurity, betrayal, all of them wreaking havoc in what should be an exuberant life for her. God kept his hand upon you, and even in her older age, I’m praying that he will restore my loved one to a place of green pastures and still waters. (Ps. 23) I hope they make your life into a movie!!!! The more you share the difficulties you have encountered and battled the more your readers see you as a strong person because you are overcoming difficulties and it helps others to see that it is possible to survive! Thanks for sharing ´ strong person’!